Personalized 2 Line Decorative Address Sign - - rectangle address plaque with beaded border. Rust free cast aluminum. Made in the USA. 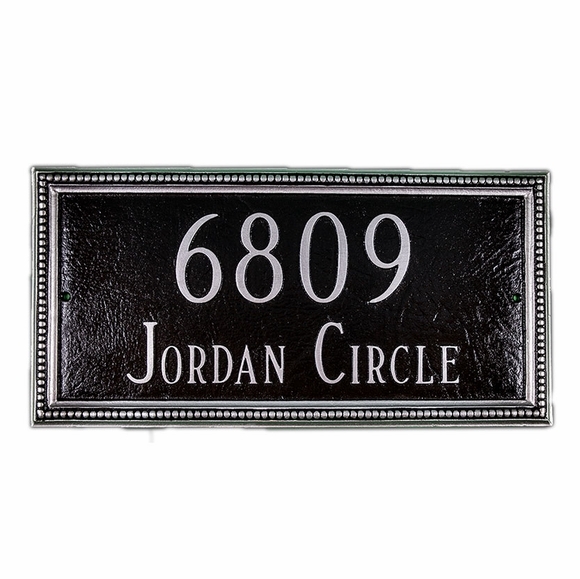 This address plaque is distinguished by its sophisticated beaded border. Solid cast aluminum construction. Characters and border are part of the sign, not added on. solid, heavy and very nice.